For more on the Film Noir Foundation's Noir City XII, click here. Many of the foreign films I have never seen and some never heard of. The obvious ones like THE THIRD MAN, RIFFIFI and WAGES OF FEAR I have caught and are all excellent. The Japanese film STAY DOG is a great film . 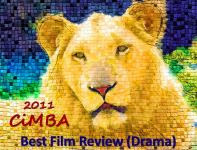 Definitely, a must see. I wrote about it some time back. This, along with other reasons, is why I wish I lived in SF or a least close by.. 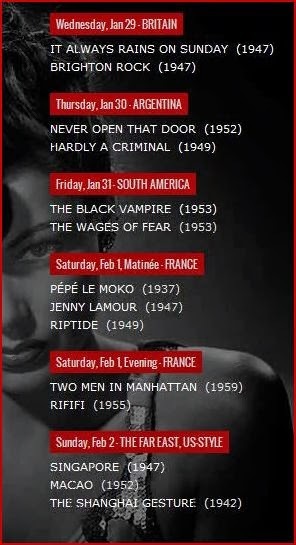 Noir City is always an interesting line-up of films - love the "international" theme this year. I'm so busy these days I've missed most of the festival - but I still have hopes of attending the Sat. matinee and most of Sunday's program.